At the end of October we visited Maui, Hawaii for a week. Unlike past vacation blog posts in which I broke up the posts by days, I am going to try something different and one blog post broken up by activities, restaurants and recommendations. Each section is in date order. Features the Iao Needle which is a 1,200 foot “needle”. It was an enjoyable park to walk through and only took a couple of hours. 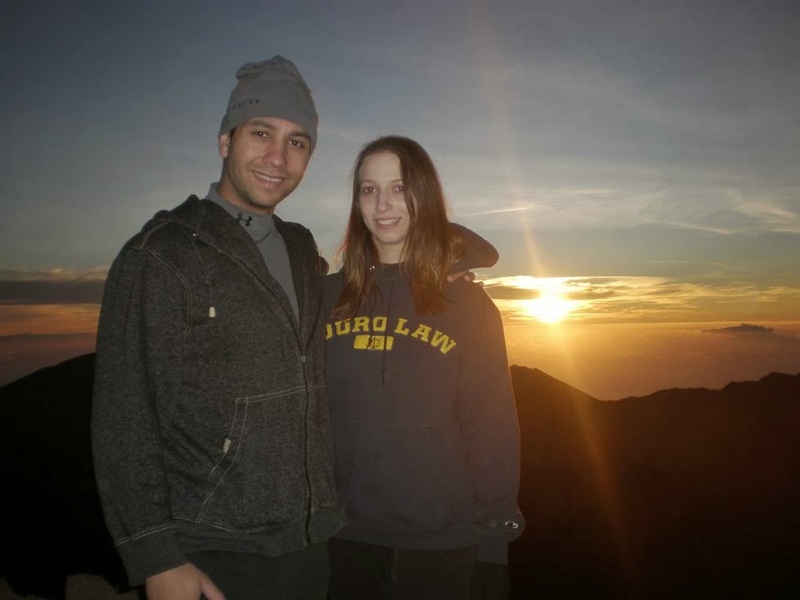 On Tuesday morning, October 22nd we enjoyed the “must see” Heleakala Crater Sunrise which takes place at the of one of Maui’s two volcanoes. A few things to be aware of, (1) You should leave your hotel at 2/2:30 a.m. as this is going to be a long and slow drive up to the 10,000 feet you need to go to reach the top, (2) It is cold up there, so dress very warm as it is around 40 degrees, and (3) If you don’t get there early enough you may find you cannot find a parking spot. We originally tried parking at the parking lot at the very top by the summit, but it was full. This was an extremely small parking lot and it caused a log jam of cars, so even though we got there early, we almost did not get a spot in the second visitor’s center because of getting stuck at that small parking lot. Once at the second visitors center, do not watch the sunrise by the railing, but rather make the hike up the path, which brings you to a beautiful view and you won’t be crowded by those too lazy to leave the railing by the parking lot. This had to be one of the most beautiful sights I have seen and it was definitely worth waking up super early to enjoy it. On Tuesday, October 22nd and Thursday, October 24th we went to the aquarium. I had a great time visiting so we went back twice. 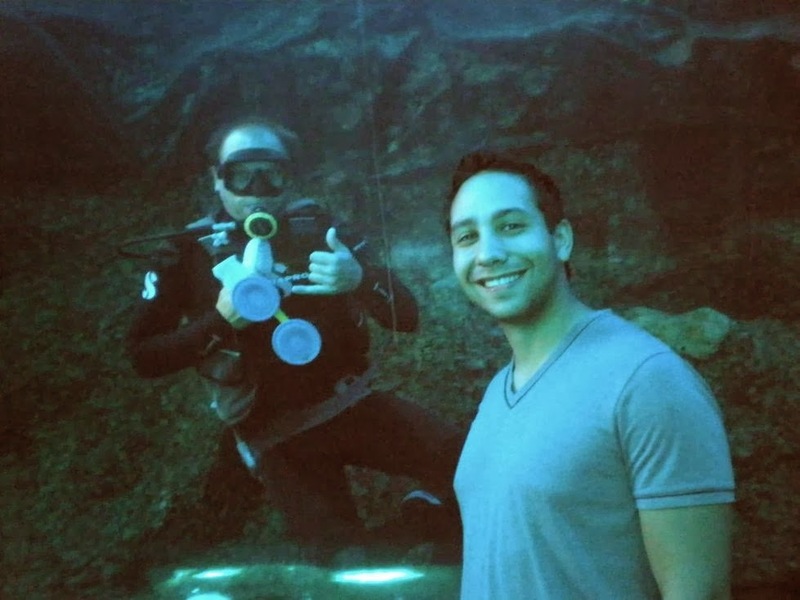 It was really interesting learning about Maui and the aquatic life that inhabited its waters. If you enjoy aquariums it is definitely worth the trip. On Tuesday, October 22nd for dinner we went to the Old Lahaina Lua. It runs from 5:30 p.m. to 8:15 p.m. 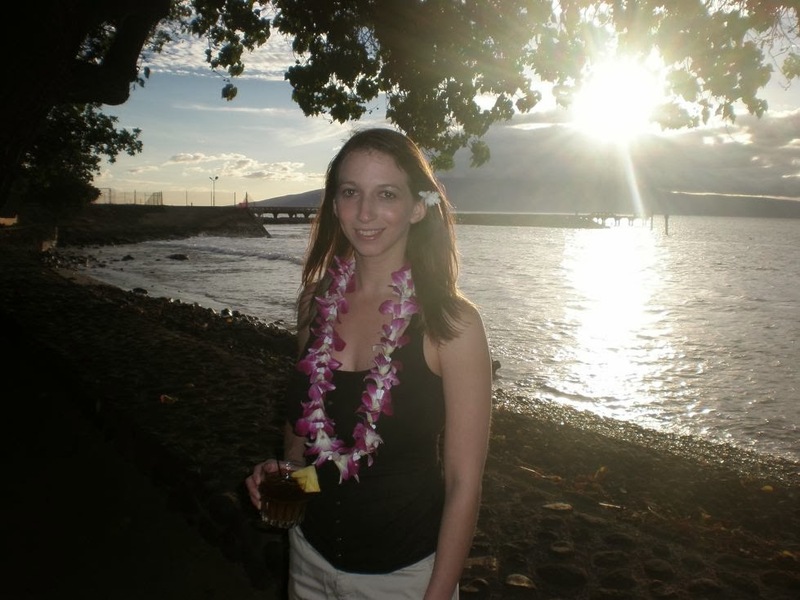 While on Maui we decided that we had to go to at least one Luau. This one received a lot of good reviews so we figured we could not go wrong. 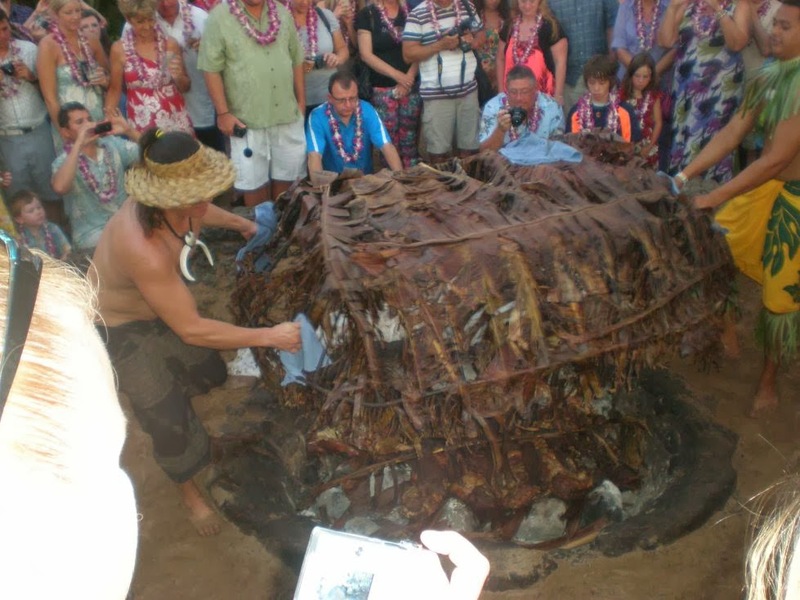 The Luau is located off the ocean and the ambiance is excellent. However, the performance was difficult to understand. I am not sure if they had issues with their sound system or if it was were our table was, but this seriously took away from the enjoyment of the performance. 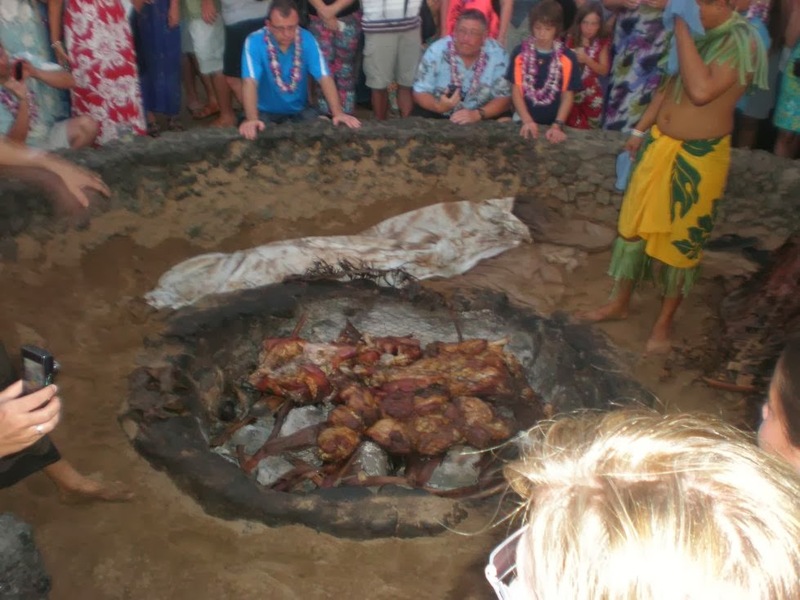 While it was really cool to see the kalua pig being unearthed from the “Imu” which is an underground oven, the actually food was simply mediocre. Overall I was very disappointed and the only thing that saved the evening was that we got along very well and had fun with the other people seated at our table. Ho'okipa Lookout: This was the first stop on the journey. We were fed a small breakfast of muffins, fruit, and coffee and enjoyed the lookout of Ho’okipa beach which is famous for windsurfing. Kaumahina State Wayside Park: We stopped here for the beautiful views, interesting trees, and a needed bathroom break. Lunch: Okay, this was the worst part of the trip. Lunch was not so great, and is pretty much in the parking lot of some sort of health clinic, of which, we are not allowed inside to use the facilities, but instead are relegated to porta potties outside. And there are tons of insects flying around trying to enjoy your meal just as much as you. 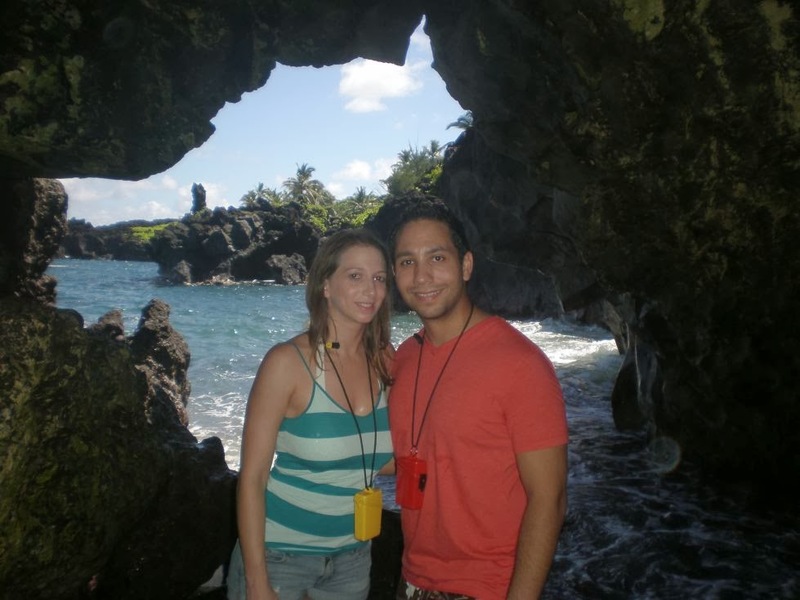 Waianapanapa State Park (Black Sand Beach, Cave, and Blow Hole): The black sand beach was very interesting. When you first come down the stairs to the beach, there is a cave immediately to the right. We completely missed it when we went down and ended up hiking a path to nowhere for about twenty minutes only to come back and find it on our return trip. There is also a blow hole off the main area of the park, but it was being uncooperative during our trip. The park itself is beautiful and worth visiting. O’heo Gulch 7 Sacred Pools with Wailua Falls: This was a beautiful area where there were natural pools you could swim in and beautiful water falls between each pool. Tourists were climbing to the higher pools, but it seemed as if one wrong slip and their vacation may come to a premature end. There are tons of warning signs about the possibility of sudden rushes of water from the top of the volcano that can come without warning and which can result in death. Charles Lindbergh Grave (Palapala Ho'omau Church): This was not part of the tour, but apparently there was a huge Lindbergh/aviation fan and we just had to go see the grave, which is by a nondescript church. It really was not much to see, as most graveyards aren't, but I did find it interesting that he was buried in Maui. Tedeschi Winery (http://www.mauiwine.com): This was our final stop on the tour. It was a nice cap to a very long, but thoroughly enjoyable day. They provide samples of different wines at the winery at no cost. There is also a shop across the street and bathrooms...yes, bathrooms. Aside from the above sights, we also made quite a few stops at different locations to enjoy the views and see the waterfalls. There are also other sights I would imagine are worth visiting, but of which I did not get a chance to see. 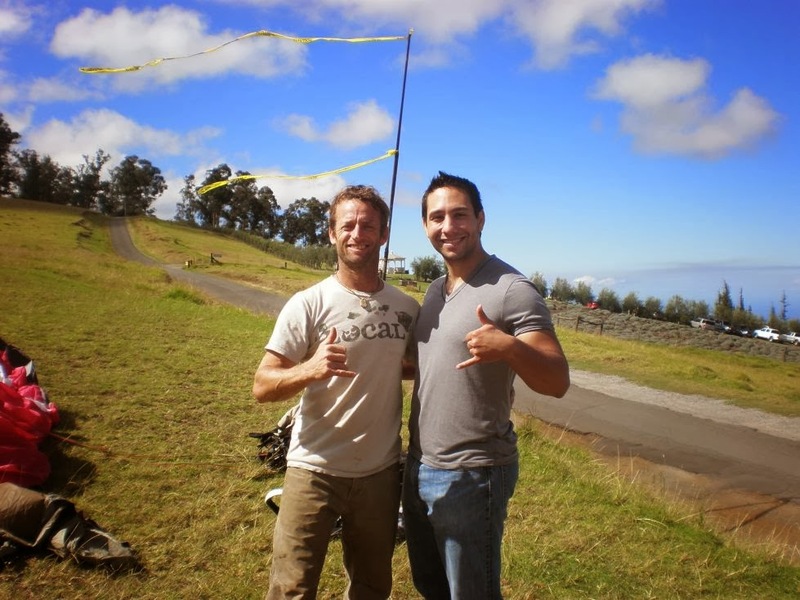 Check out: http://roadtohana.com/sights.php. On Thursday, October 24th, my girlfriend and I went paragliding for the first time and it was amazing! It was a 3,000 foot descent from Polipoli, which is off the side of the mount Haleakalā volcano. 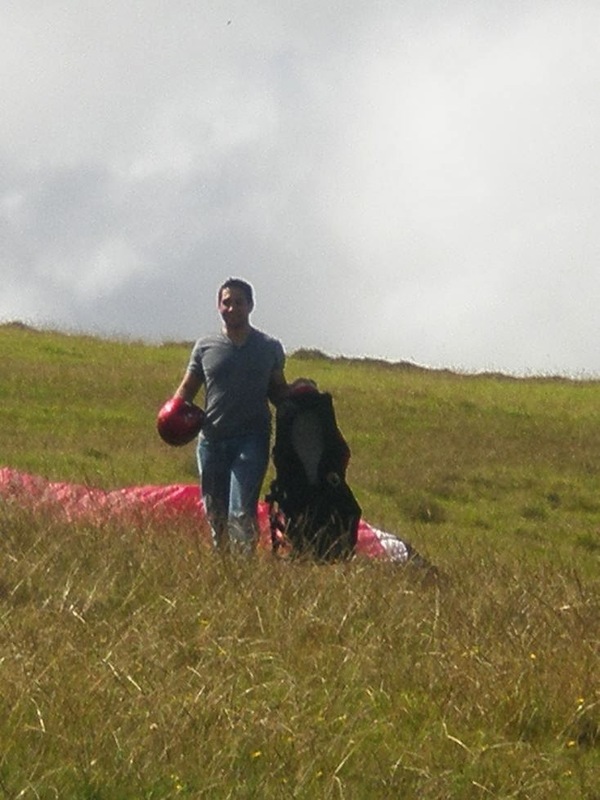 The pilot was strapped to my back for the tandem glide. I ran off the side of the mountain when he told me to and off we went. My pilot was able to find a thermal pocket and keep us afloat for around thirty to forty five minutes, or it seemed like that long. The landing wasn't so great and we ended up tumbling upon making contact with the ground, but even that was fun since neither of us were injured. They did not offer any video packages, or I would be showing you a video below of me, but they do have a video from their website that will give you a perfect idea of what the experience is like. The lavender farm was located right next to where we met for the paragliding on Thursday, October 24th. We decided after doing the paragliding to head to the farm because we received free admission from the paragliding company. The place smelled great and it was interesting seeing all the different kinds of lavender plants, though the lavender coffee they sold, totally gross. 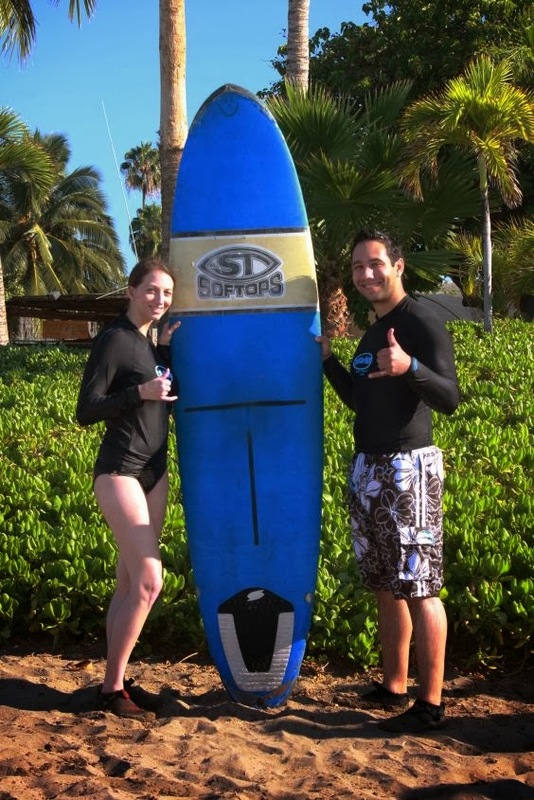 On Friday, October 25th we spent the morning learning how to surf...or in my case, just trying to stay on the surfboard. I have terrible balance and I was just happy I got up once. My girlfriend on the other hand was much much better at it than I was. It was a two hour group lesson with several other people. I think that if I would do it again I would get a private lesson for just my girlfriend and I, as the other members of the group picked up on surfing a bit faster than me so I think I would have been able to get up successfully on the board a few more times if I had more attention from the instructor. On Saturday, October 26th we finally spent a day at the beach. Amazing huh, that the only time really spent on the beach on a tropical island was our last full day. The sand was super smooth. Nothing to step on, which was a much different experience compared to the beach where we did our surf lesson. The water, view, and beach itself was beautiful. I couldn’t have been happier. I’ve read that this beach in particular has received very good rankings. Before going to the beach on Saturday, October 26th, we went to see the Nakalele Blowhole. Make sure you wear sneakers when going to see it as you have to do a downward hike for approximately fifteen minutes to get there. There is all kinds of warnings in reviews of people getting hurt, but it was really a simple path to navigate as long as you took your time. The rocks in the area are all eaten away from the prior lava flow which is interesting and the blowhole was really cool, though don’t get too close, people have fallen in and not come back. 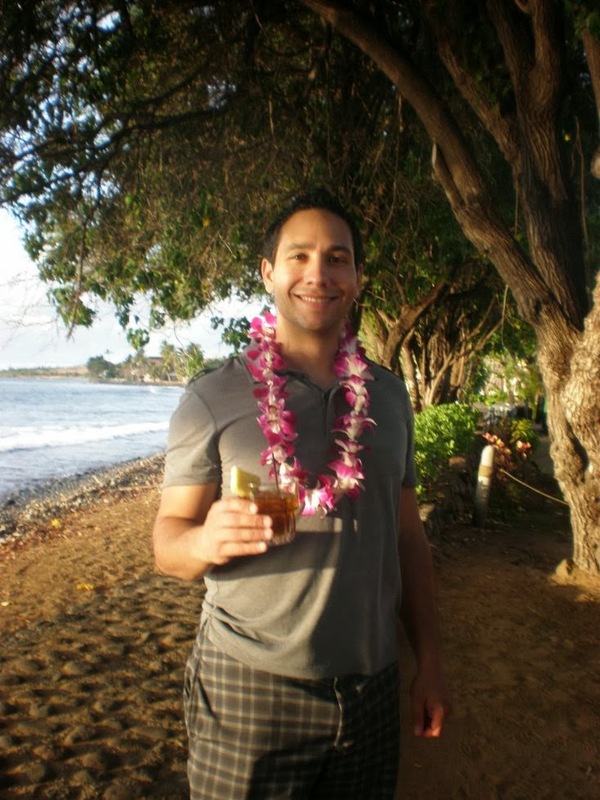 For this vacation I used a combination of a guide book called, “Maui Revealed The Ultimate Guidebook” and various travel websites to guide us in our culinary journey. I more or less took the top rated restaurants and just dined at each one of them. On our first night in Maui, Sunday, October 20th, we visited the Lahaina Grill and did a brief walk down Front Street. The restaurant describes itself as new american cuisine and boasts of numerous awards received throughout the years. For an appetizer we ordered the crab cakes and escargot. My girlfriend ordered the double cut braised short ribs and I ordered the oven roasted shelton farms all natural chicken breast. While the restaurant received rave reviews, I found that the food did not excite me one way or another. This would be fine for an average restaurant, but due to the reviews and awards this restaurant had won, it did not meet expectations. We passed on dessert. The service and restaurant ambiance was fine, though the location of the restaurant did not provide any notable views. On Monday, October 21st, we visited a notable Italian restaurant on the island called Capische?. However, when I say Italian, it was far from the version of Italian food one would find in my home state of New York. The restaurant is located in the upscale area of Wailea at Hotel Wailea. For an appetizer we ordered the pumpkin gnocchi. My girlfriend ordered the roasted shelton farms chicken and I ordered the Ciopinno (lobster, shrimp, fish, clams, saffron orecchiette). For dessert we had their homemade donuts. The service was fine and the ambiance was excellent. While we enjoyed our experience, Capische? also failed to live up to expectations. One interesting item of note was the fact that right by the restaurant that night a small plane made an emergency landing a few blocks away while we were at dinner. On Wednesday, October 23rd, we visited a french restaurant called Gerard’s which is located in a bed and breakfast called the Plantation Inn. For an appetizer we ordered the escargot forestiere. My girlfriend ordered the roasted rack of lamb and I ordered Gerard’s confit of duck. For anyone who decides to park in the parking lot for Gerard’s/the Plantation Inn, make sure you get your ticket validated by the wait staff, otherwise there is some sort of private corporation that attempts to give a ticket. I ended up having to drive back to the restaurant to have them waive. It was nice being seated on the front porch for dinner, the service was good, but once again, for the amount of money being paid for these dinners, the experience did not conform to expectations. On Thursday, October 24, we dined at the Hali’imaile General store. The restaurant is located in Makawao, which was a bit of a trip from Lahaina and was removed from any worthy sights. This restaurant proved to be quite the disappointment, despite the good reviews and ratings the travel books and websites gave it. For an appetizer we ordered the kalua pork sliders. My girlfriend ordered the bbq kalua pork stuffed burger. Nothing really on the menu stood out to her if you are wondering why she doubled up on the kalua pork. I ordered the paniolo ribs. Whenever I go to restaurants I typically don’t order ribs. I’ve grown so used to making ribs on the bbq that I find restaurants pale in comparison, but since this was supposed to be such a high quality restaurant, it was a big mistake and I was so disappointed that we didn’t even bother with dessert. This was the one restaurant that I would recommend as totally skipping on the list. For lunch on Friday, October 25th we went to Aloha Mixed Plate. One word sums up our experience. Disgusting. The food was very unenjoyable, though the abundant amount of flies seem to have enjoyed it. The restaurant is outdoor seating only. It claims to serve “tasty dishes from the varied ethnic groups that call Hawai’i home.” The food was far from tasty, avoid at all cost. On Friday, October 25th we went to Merriman’s for dinner. 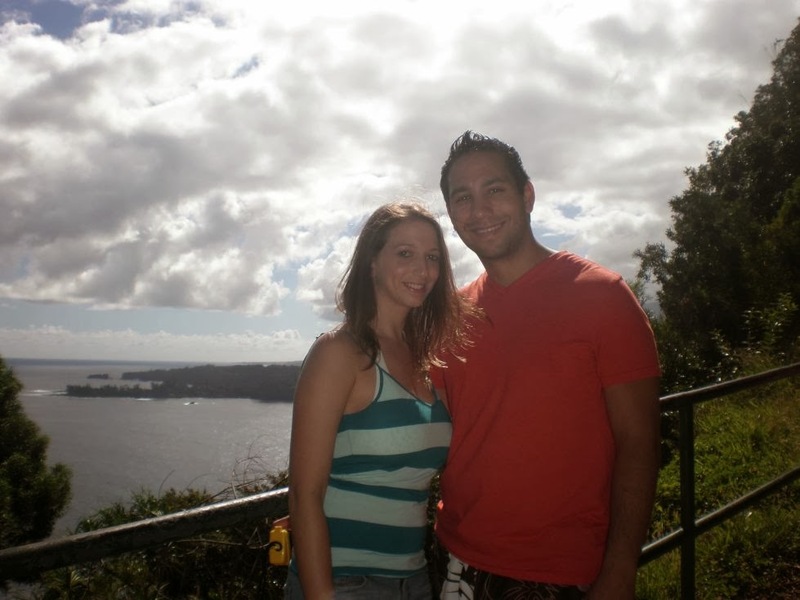 Merriman’s was by far the best dining experience we had in Maui. This was the first high end restaurant we went to where it felt high end. The ambiance and view were excellent and so was the service and food. If we had time to go back we would have. Each dish was better than the next. We started with the parmesan truffle fries. My girlfriend ordered the pan roasted diver sea scallops. I ordered the Merriman’s mixed plate. For dessert we ordered the chocolate purse. I cannot rave enough about this restaurant. Unlike the previous dining experiences on the island, this one was worth every penny. For breakfast on Friday, October 26th we enjoyed a wonderful breakfast at the Seahouse restaurant. This is a nice restaurant located at the Napili Kai Beach Resort with a view of the beach as you enjoy your meal. The parking is a bit funky in this place, so be careful looking at the signs wherever you end up parking to make sure you do not get a ticket. My girlfriend ordered the loco moco country style breakfast and I ordered the Ali'i breakfast. Couldn’t have been happier with the meal and definitely recommend it for anyone who has time to sit down for breakfast during their trip. Based upon our research, Mama’s Fish House is the one restaurant that a visitor must experience when traveling to Maui. I’m still a bit ticked off that they wouldn’t let me bring my red bull into the restaurant, but other than that there was absolutely nothing to complain about. While I still hold Merriman’s in top place for dining experiences in Maui, Mama’s Fish House easily comes in number two. The ambiance is interesting, the service was excellent, and the view of the beach was wonderful. I could not have been more satisfied with the food. Considering that we went to the restaurant on Saturday, October 26th, and that this was to be our last dinner on the island, we were very pleased. We started with the wasabi crusted calamari. My girlfriend ordered the natural pasture-raised beef short ribs, slow-cooked “Pulehu”. I ordered the Tristan Island Lobster Tail, which the restaurant claims comes “from the most remote inhabited island in the world.” I never ate a seventy five dollar lobster tail before so I was expecting it to be big and delicious, and that it was. For dessert we ate the kuau chocolate pie. Make sure you make reservations way in advance for this restaurant. On the morning of our flight we headed over to the 10 a.m. opening of Star Noodle. For the entire week we were on the island we heard numerous people rave about this place. And I mean RAVE. We never heard of it. It wasn’t in any of the travel guides or websites we looked at. We had totally discounted trying it since our whole itinerary was booked until we were at Mama’s Fish House and the table next to us was going on and on about it to the wait staff. So we were one of the first in the door to this little asian restaurant located in a business park in Lahaina. They sped up our order because they knew we were in a rush to catch a flight. We ordered the steamed pork buns, garlic noodles, and the Filipino “Bacon & Eggs”. All the food was simply excellent. Who knew we were missing out. I just wish we didn’t have to literally eat and run. I felt I didn’t really have the time to savor each bite. Anyone visiting the island should definitely stop here for lunch one day, it was worth almost missing our flight over. We went here during one of our visits to the Aquarium. I enjoyed a chocolate chip cookie sandwich with vanilla chocolate in the center and I was in heaven! It was so delicious. Definitely go here to satisfy your sweet tooth. It is located in the shopping center immediately next to the Aquarium. We visited Leoda’s several times for a quick breakfast and lunch. Their pies were only okay, but the rest of the food was delicious and it became out go to spot when we were hungry for a small meal to hold us over while doing the other activities. It is also off the main road from Lahaina so it was very convenient to go to. Make sure you use a navigation to find it though because it is very easy to pass driving down that main road. 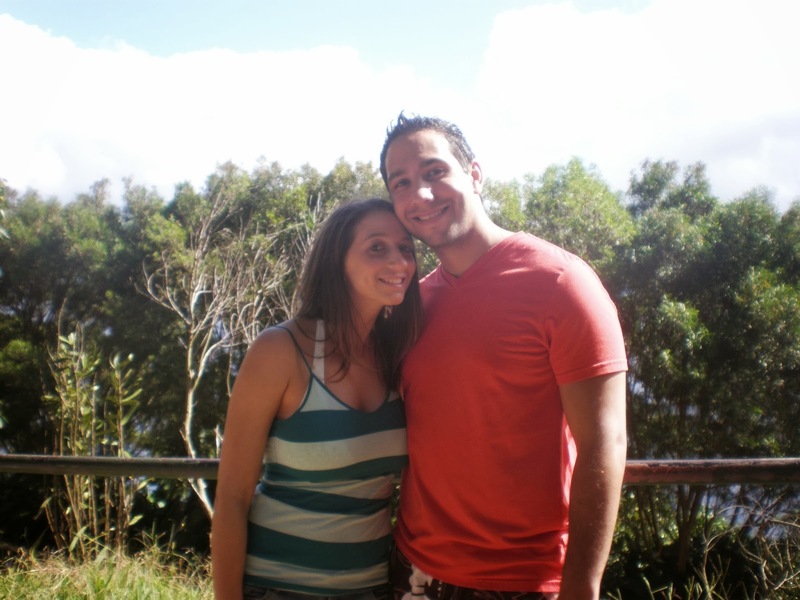 If you are traveling to Maui I recommend renting a car. If you own a portable GPS or have one in your smartphone, definitely use it as it will be very helpful. Also, pick up the book Maui Revealed, The Ultimate Guidebook by Andrew Doughty, which was an invaluable source of information.